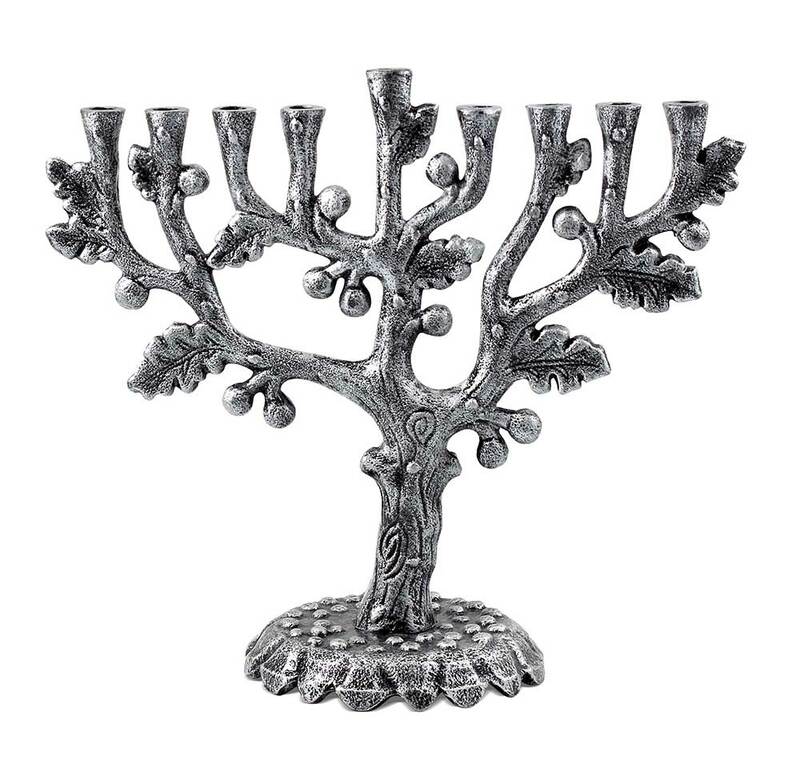 New Olive tree metal Menorah in satin silver finish. A unique hand crafted design with exceptional real life detail. Made of cast iron with antiqued silver finish. WOW! BLACK FRIDAY DEAL 15% OFF!